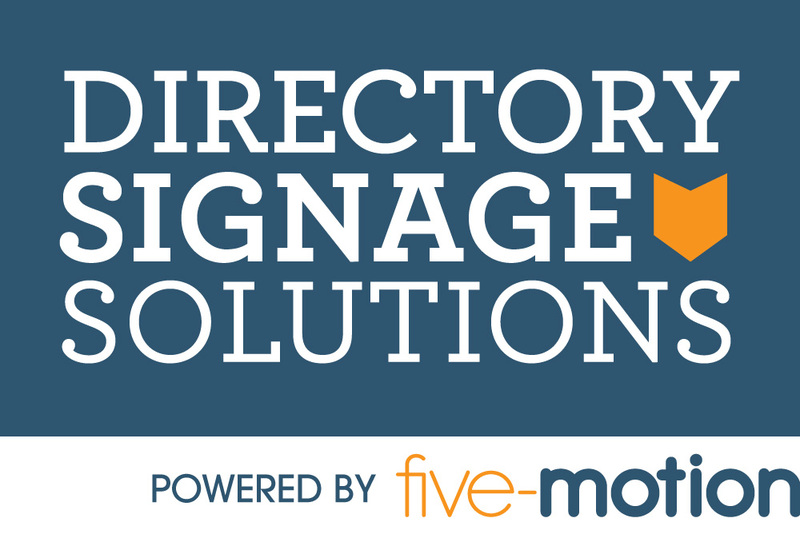 While presenting at Ad Week 2012, Five-Motion met the owner of a high-rise building who was very interested in replacing all the floor directories with digital signage. 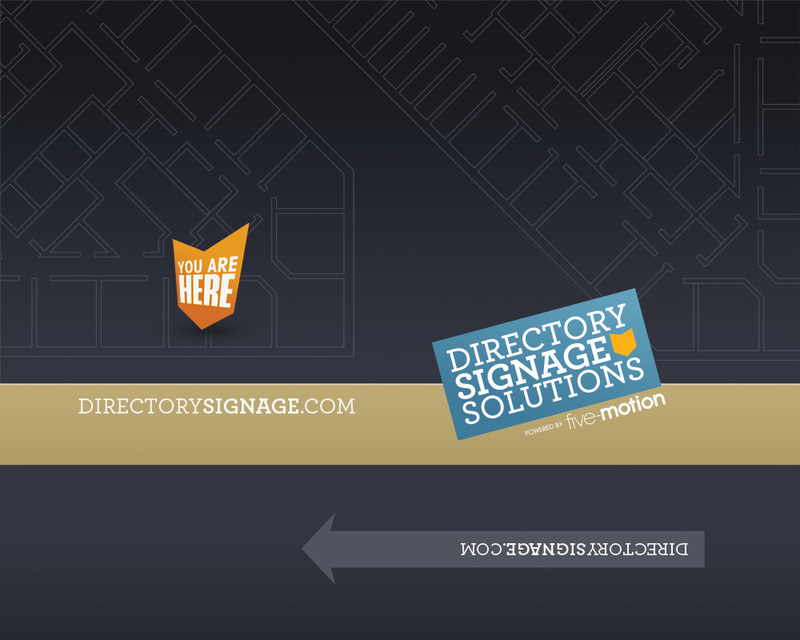 That was the genesis of Directory Signage Solutions. The base product is the same, but Directory Signage includes all the additional hardware (screens, projectors, mounts, finishing) plus the actual installation and our target is high rise buildings and large multi-floor spaces. 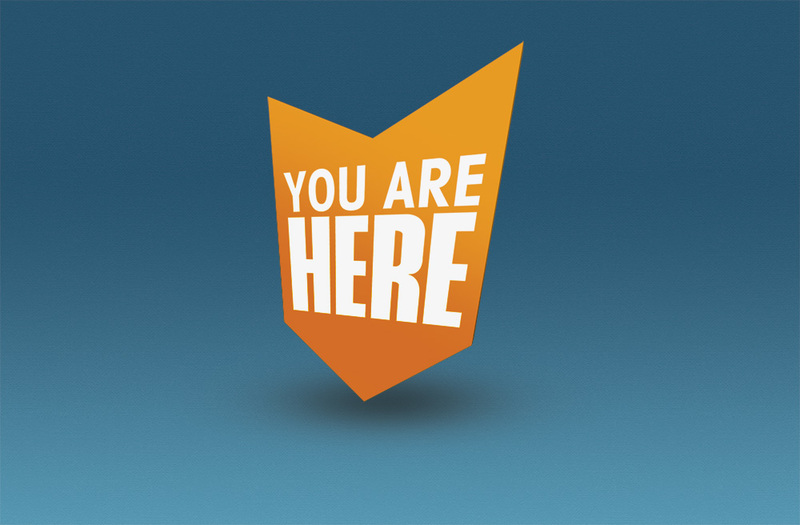 We also push the concept of monetizing or subsidizing the system by advertising local businesses, even the businesses inside the building, right on the screens – something you can’t possibly do with a traditional floor directory. This is a folder we had made for presenting an introduction package with brochures and idea sheets.